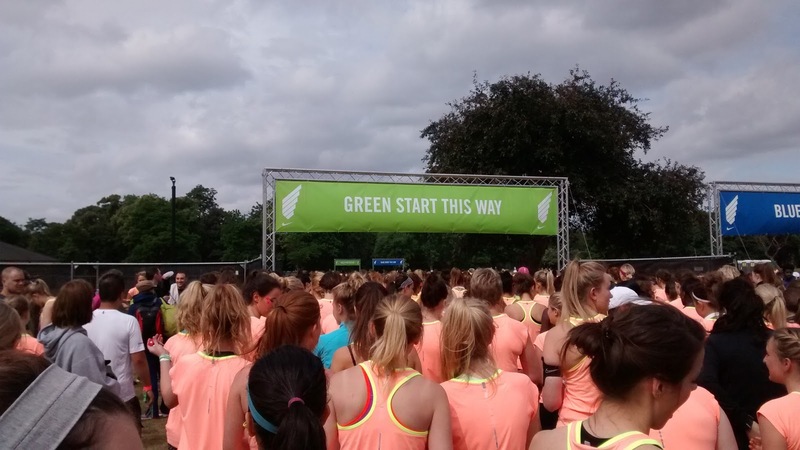 Last Sunday I ran the much anticipated and talked about Nike Women’s 10k in Victoria Park. It was a great atmosphere and I did really enjoy myself despite a less than ideal pre-race build-up! Then, go on holiday for 2 weeks to a festival – eat lots of chips, donuts and jump up and down crazily, sleep on an uncomfortable inflatable mattress, but don’t run at all. Walk 5miles around London in heeled boots the day before the race, getting some lovely blisters. Eat a lot of Vietnamese food for dinner (yummy), and stay out late drinking a lot of gin. Get to bed around 2am, despite having to wake up at 7:30am and travel 1.5hours across London to the start line. Eat flapjack for breakfast because you don’t have your usual pre-race food in the house. Drink copious amounts of water and tea on the journey to the race to combat drink-related dehydration, arriving at the race village busting for a wee and have to leg it to the portaloos! When I signed up for the Nike Women’s 10k I’d optimistically put myself in the Green start for a 60minute 10k time- something I’d like to aim towards, but only with proper dedicated training! Still I was glad I started in this wave – with 10,000 runners taking part the Equinox-led warm-up was impossible to see unless you were right at the front (although you could hear), and the staggered starts helped to spread things out on the course. 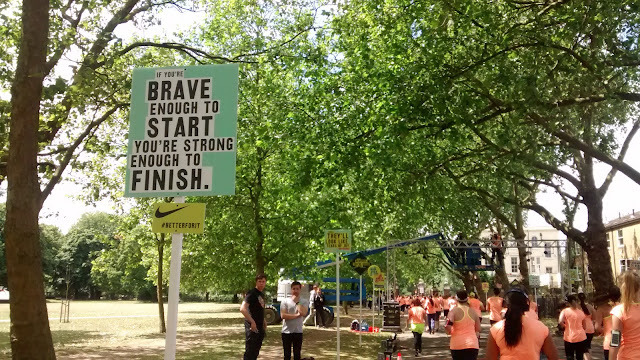 I ran the first lap taking in the motivational signs and soaking up the cheers of the spectators. There were a few bands along the route too, as well as a water station and people giving out orange slices. 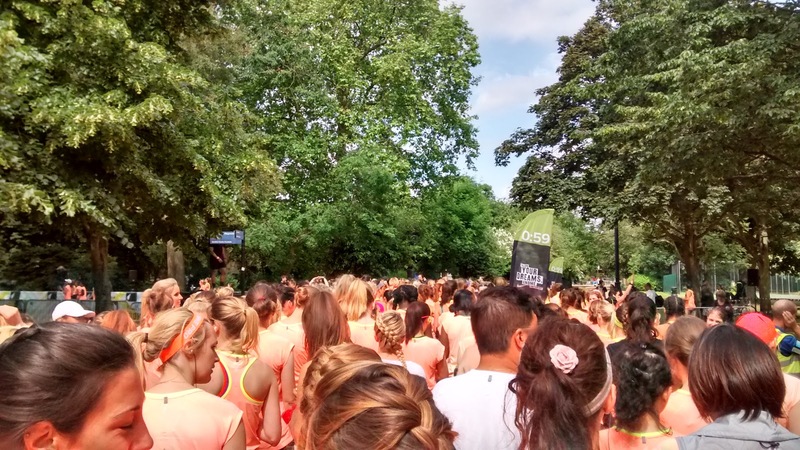 I loved my orange Nike Dri-fit tshirt, but although I knew quite a lot of people running the race the fact that everyone was wearing the same colour did make it hard to spot people! My stomach wasn’t feeling very happy (not surprising really!) and I had to stop after the first 5k lap for a toilet break. I then finished the second lap run/walking and taking photos. The day was unexpectedly warm, and I drank quite a lot at the water stations as well as grabbing a bottle of water at the finish line. We were also handed a banana, goody bags and of course the coveted, specially designed Alex Monroe necklace. Although I didn’t hang around, the Race Village looked pretty awesome with a Pip and Nut toast bar, a Birchbox create-your-own-box stand, Vita Coco coconut oil, Nike clothing (of course), a braid bar and free champagne (which I may have skipped! )- all of these things did have immense queues, so what with my lack of sleep and aching feet I collected my bag and took myself home. My official time was probably a personal worst, but in a bizarre way I’m proud to have still got up and made it round the course- and still enjoyed myself! I definitely won’t be implementing my strategy again though! 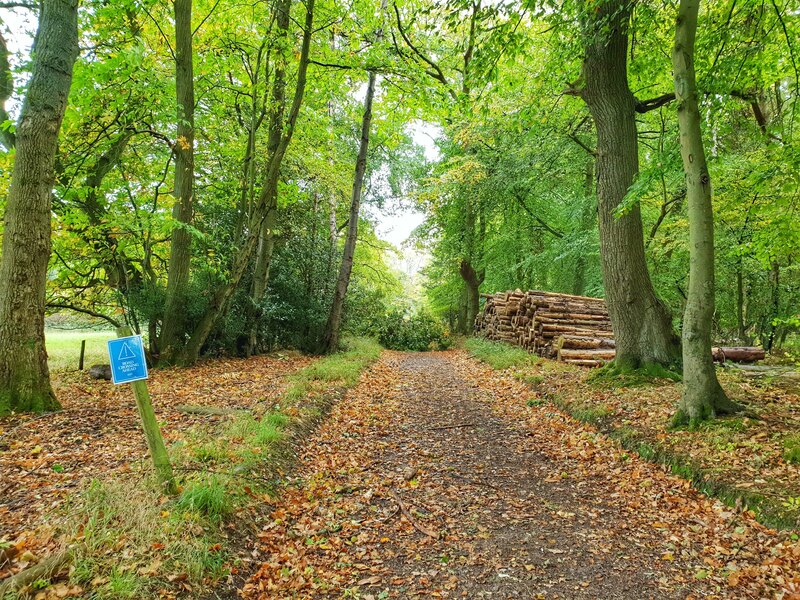 In terms of the race, while it’s a more expensive 10k (£28) I’d recommend it purely for the extras, the (much improved) organisation and the amazing atmosphere. 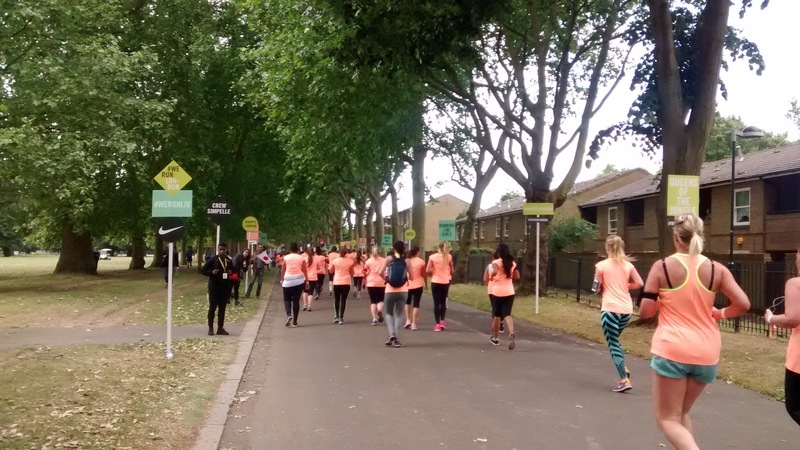 60% of the runners were completing their first 10k and it was pretty incredible to be surrounded by so many women taking on that challenge, and to share that sense of achievement. 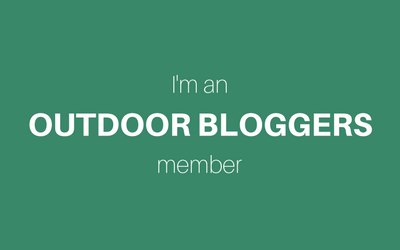 Have you ever taken part in a race after a less than ideal pre-race buildup? Would you pay extra for a women’s only race with a “festival” style race village? See I'm not necessarily a fan of women's-only (or men's-only) events, but I would definitely take part in this 10k at least once. I really like the idea of the after party/festival atmosphere, and I know its shallow but i love the idea of race jewelry too. Seems far preferable to some ugly medal you can't actually wear out. Haha sounds rather painful!! But I'm glad it went as well as it did for you 🙂 Sometimes you just have to live a little, right? 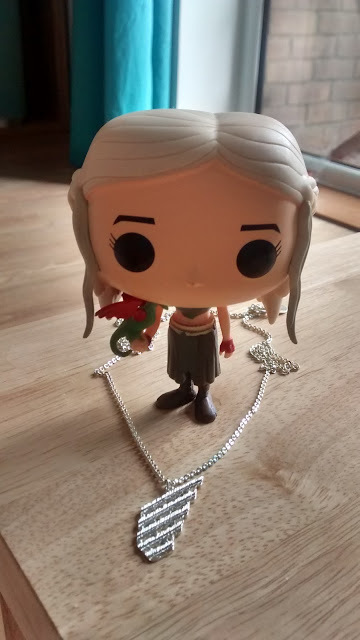 I love the necklace and think that all the race extra stuff sounds fantastic. 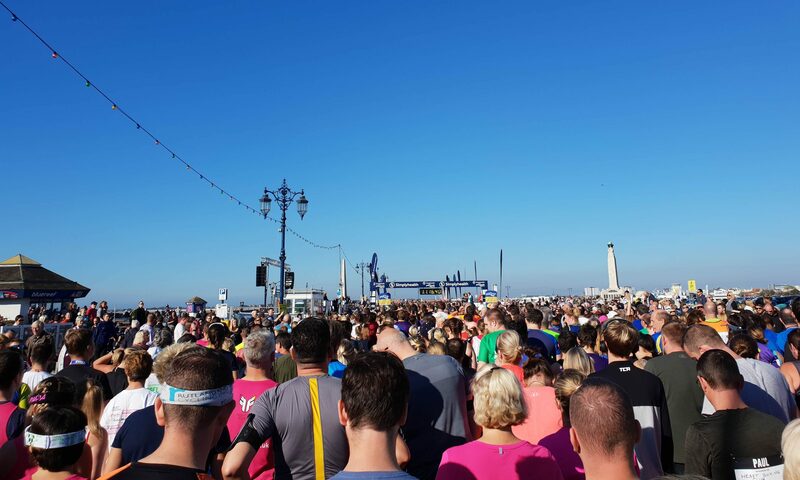 Sure it's more expensive but then look at the Great South Run – over £40 for a 10 mile race. No free champagne there either! And not even a technical tshirt…it's scandalous really. Argh I forgot to sign up for this! I saw great reviews last year, and loved the idea of a necklace instead of a medal- something to remember the race by. 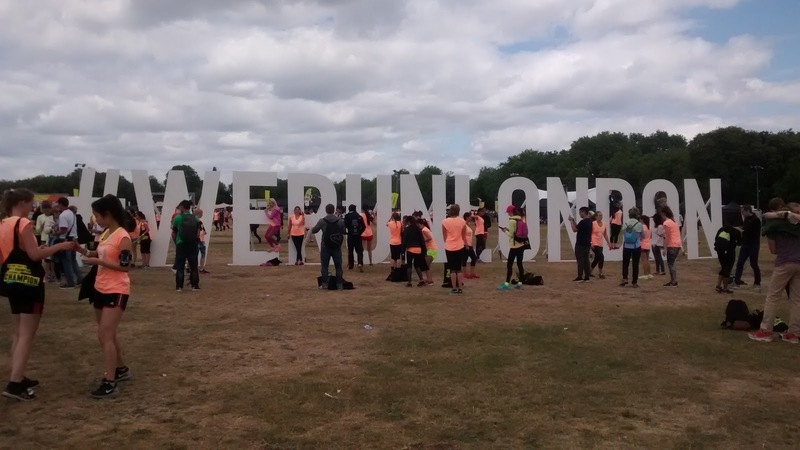 I was in London this Sunday meeting up with friends and I saw a few people with the goody bags and kicked myself for not signing up – next year! 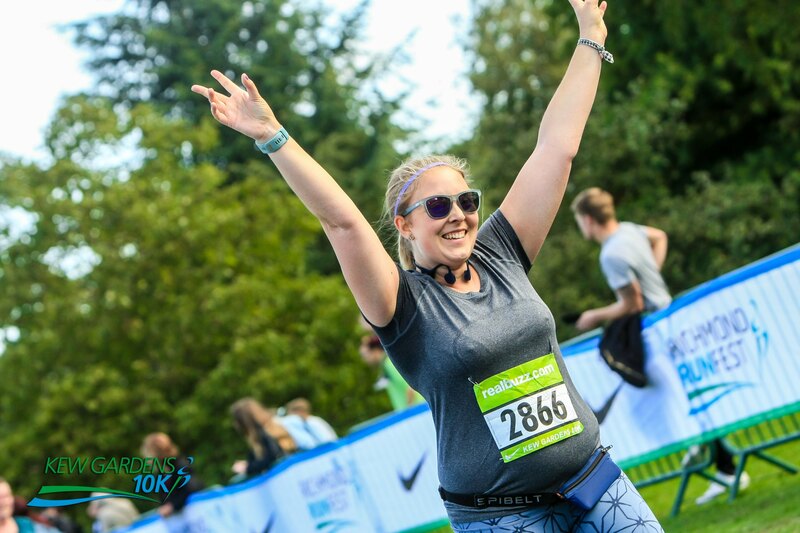 I am not really into women only events- I happily run mixed events- for me it's more about the actual route or extras- I am doing a women's running 10k, because I did it last year and enjoyed the route, plus you get a technical top (always a bonus) and the atmosphere was really welcoming. 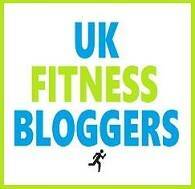 #£28 is a lot, but not as expensive as some, and for a big event it will always cost a bit more. I agree with Anna- the GSR is one I would never do again and it was expensive for what you ended up getting. Well done for making it around the course with that build up- sometimes races are to run for time, other races can be enjoyed- at the end of the day you still did it and hopefully have some good memories. Sorry you didn't have the best race, but sounds like you enjoyed yourself in the lead up to it. Life's all about moderation!